Swing by Noah’s Pet in Bentonville for holiday savings on the things you need now! Take 20% off all kid’s toys and yard decor. We’ve got a great selection of pet food that is 50% off, while supplies last. 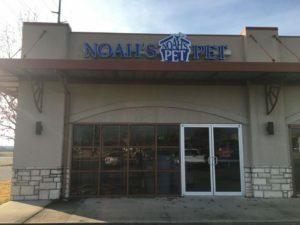 Stop by Noah’s Pet in Bentonville, conveniently located at 2800 Highway 102, Bentonville, in the Copper Ridge Center. Special pricing valid through December 31, 2018, or while supplies last at Noah’s Pet in Bentonville, AR. This entry was posted on Monday, October 8th, 2018 at 8:07 pm	and is filed under Events. You can follow any responses to this entry through the RSS 2.0 feed. Both comments and pings are currently closed.